Sidney Lumet directs this morality tale, set primarily in a small room where the 12 members of a jury convene to decide whether a young Spanish/American man is guilty of murder or not. Filled with fantastic character actors, this film asks questions about preconceptions and prejudices. When you look at any crime you should take the immediate facts and use them as the foundation as you try to fully decipher of the situation. The key here is the questions asked, which Juror #7 (Henry Fonda) does of his fellow jurors. No juror has a name here, it doesn’t matter, each representing an aspect of humanity. It’s complicated and looks at the accused through a microscope allows a deeper, fuller version of the truth. The acting is fantastic, filled with brilliant performances from everyone. 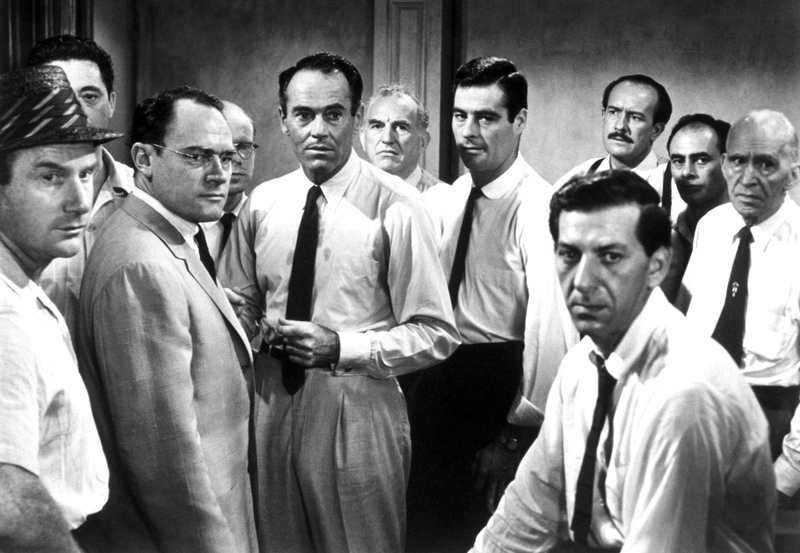 The jurors are: Martin Balsam, John Fielder, Lee J Cobb, E.G. 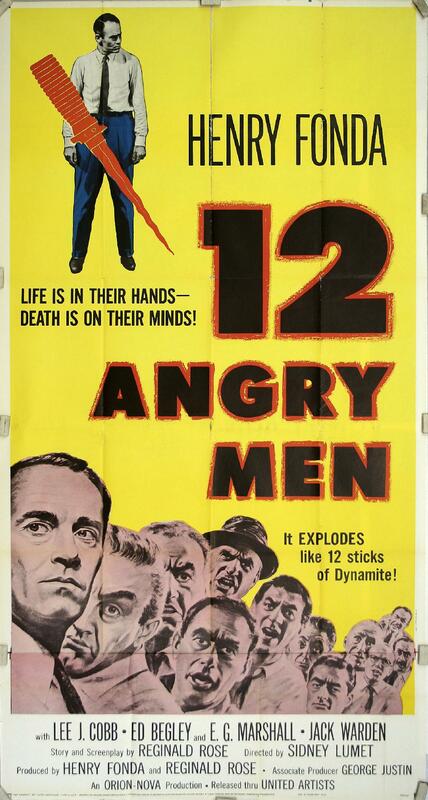 Marshall, Jack Klugman, Edward Binns, Jack Warden, Henry Fonda, Joseph Sweeney, Ed Begley, George Voskovec and Robert Webber, each of them infusing their characters with three dimensions and truth. The script is lean and each of the arguments is mined to the fullest. Fonda plays the dissenting voice, all the others think the young boy is guilty and he proceeds to challenge his fellow jurors views. This is a film that will make you think, question your own conclusions, entertain and take you on a roller-coaster ride. No special effects, set in one room, the drama comes out of the conflicts or clashes that the characters find themselves in with each other. These true human dynamics make for the best kind of stories. This film, if viewed with openness can shake you out of your own prejudiced prism and leads you in the direction of empathy, understanding and compassion. Judge not lest ye be judged. So many things have already been written and said about this classic film from the ‘50’s, it works everytime you see it and benefits from multiple viewings. Do yourself a favour, if you haven’t seen it before or it’s been a long time since you last saw it, find it and watch this classic again. It is a important today as it was in 1957. Yeah, me too. Thanks for all the likes. Much appreciated.